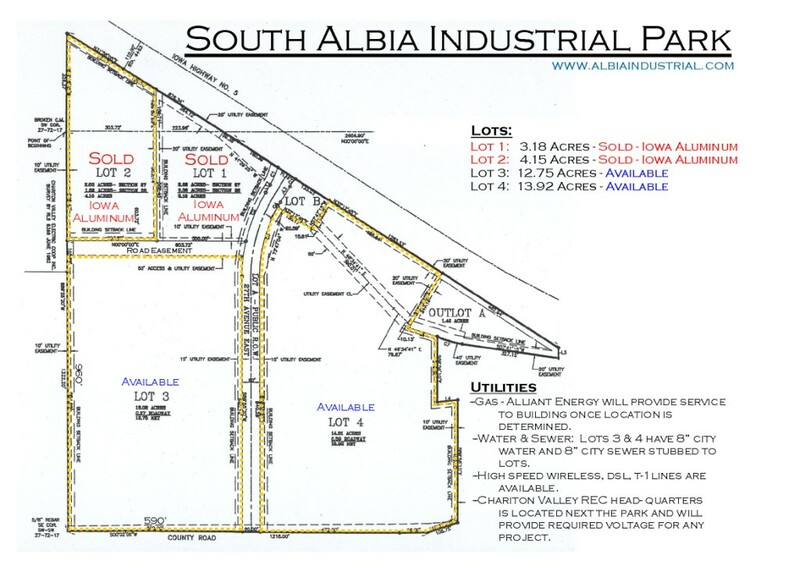 The South Albia Industrial Park is owned by Albia Industrial and boasts 13 & 14 acre sites complete with infrastucture. Smaller lots may be available through subdividing. 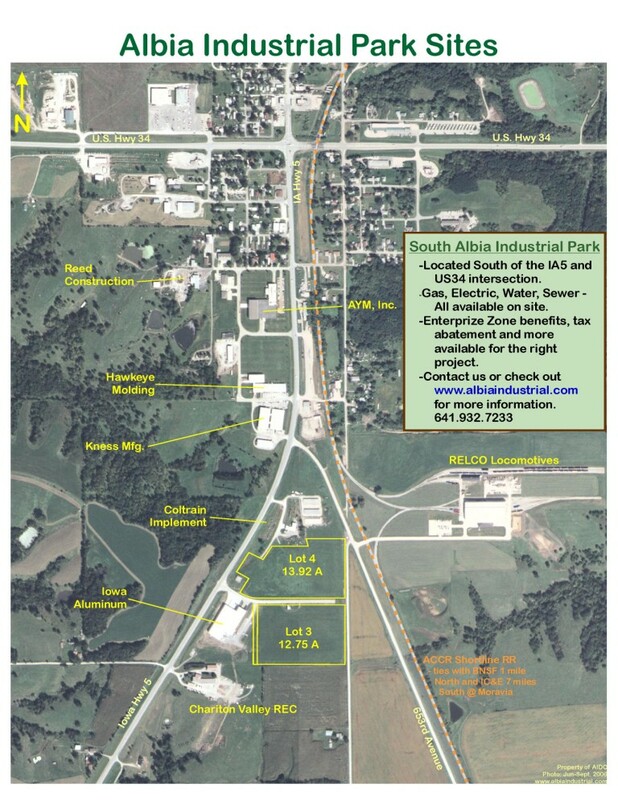 Rail service is also located adjacent to park. See the following maps and aerials for more details. For a detailed overview of Lots 3 & 4 including utilities, taxes & incentives, transportation, etc., click here to connect to our Location One Information System Database.